Happy Christmas from the Uniquethinkers! We’d like to wish all readers of our blog a very Happy Christmas and New Year! 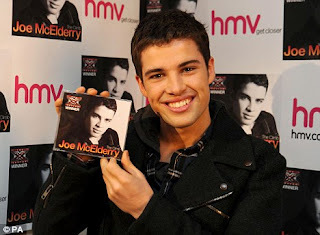 1) Joe McElderry won the X Factor – we’re very proud of our little star and it’s a great boost for the North East. It’s a shame he was deprived of the Christmas No.1 spot but he’s still a winner and we know he’s got a great career ahead of him. 2) We’ve had a brilliant year working with several great new clients and we successfully launched our new design division, headed up by Paul Alderson. 3) It’s official - NewcastleGateshead and Sunderland will become candidate host cities if England is successful in winning the right to stage the 2018 World Cup. Hosting the tournament in the region would provide a £58m boost, with tens of thousands of people visiting the area during the event, so we’re keeping our fingers crossed. 4) BA staff will not be striking over Christmas, ensuring that thousands of people’s Christmas holidays will not be ruined. The whole news story has proved disastrous for goodwill and PR, but we know of a good PR consultancy who could help rebuild BA’s image! The reputation of Eurostar could do with a lift too – continued reports of delays and inadequate treatment of travellers this Christmas is not the best way for the company to start 2010. 5) Sam will be jetting off to Saint Lucia again in January to see our top client, Windjammer Landing Villa Beach Resort, for another week-long ‘meeting’ in the Caribbean sunshine! See http://www.windjammer-landing.com/ for more information about the resort. With the recession hitting the student population more than ever, we’re thrilled to be working with the founders of bumptheagent.com, a national database of private landlord accommodation designed to save students and landlords money. 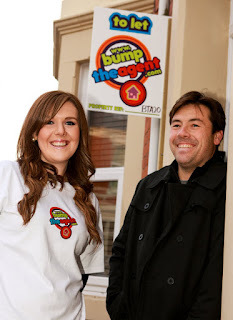 Business partners Claude Farren and Tony Tailford of Gosforth, Newcastle, decided to launch bumptheagent.com after spotting a gap in the market for a portal where students and landlords can directly contact each other. All landlords have to do is register with the site and list their properties - simple as that! Students then select their requirements from the drop-down list on the website homepage. The site already has hundreds of properties listed, mostly from the Newcastle area. There are plans to target other North East universities in Durham, Sunderland and Teesside before raising awareness in other major university cities such as York, Manchester and Leeds later on in 2010. We’ll be playing a key part in promoting the benefits of this money-saving site in the regional and national consumer and trade press in the coming year. Landlords can download print-ready assured shorthold tenancy agreements, standing order forms and guarantor forms directly from the website, making the letting process easier. Future plans for the site include a landlord services page, where companies can advertise their services, such as furniture, credit searches, inventories and insurance to landlords. The cost for landlords to advertise on the site is £20 per year + VAT per property. 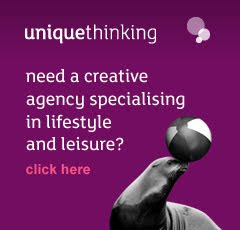 Take a look at www.bumptheagent.com for more information.